Located right outside of the city of Indianapolis is Plainfield, IN, a quiet neighborhood that’s perfect for families. In Plainfield, you’ll find a great selection of parks to enjoy, and you’re just a few short minutes away from downtown Indianapolis and all that it has to offer. To get around to all the awesome attractions nearby, you’ll need a reliable car. Thankfully, there’s a Toyota dealer near Plainfield, IN, where you can find more than 200 new Toyota models in stock! 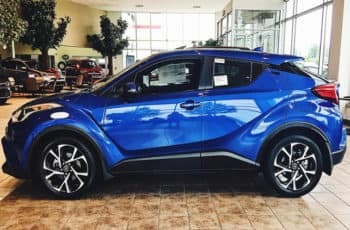 After you’ve picked out your awesome, new Toyota model, you’ll want to test it out by taking it for a spin around the area! There’s so much to do and see near Plainfield, but here’s just a couple of our favorite places to enjoy an afternoon. Right outside of Plainfield, you’ll find thrills at the Lucas Oil Raceway, a racing facility owned by The National Hot Rod Association. The facility is home to a 2.5-mile road course, as well as a drag strip that’s one of the top places in the world to see drag races. Each year, the raceway hosts the world’s largest drag race, The Chevrolet Performance U.S. Nationals. With over 130 racing days throughout the summer months, you’re sure to find a show that appeals to you! Head to nearby Indianapolis to spend a day outside at White River State Park. You’ll get to walk along the canal, seeing a variety of outdoor art displays and memorials. Rent a bike, take a Segway tour, or head out onto the water in a paddle boat! There’s a variety of other attractions close by, including the Indianapolis Zoo, NCAA Hall of Champions, and The Indiana State Museum. Toyota Tundra and many more! Our sales team is here to help you find a model that’s perfectly suited to handle your lifestyle. You can also view our entire inventory on our website, so you can always see exactly what we have in stock. Once you find a model you love, you’ll want to head out and explore Indy right away. First, though, you’ll have to find a financing plan. It’s a quick and easy process when you visit our Toyota finance department at our Plainfield Toyota dealership. You can even submit an application right online, so we can review it as soon as possible and get back to you with your loan or lease options. You’ll be good to go in no time! Where Can I Service My Toyota? 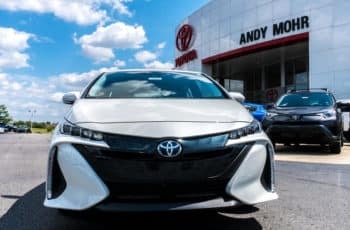 Are you ready to find your perfect Toyota model from our dealership near Plainfield? Contact us today to schedule a test drive, and we’ll get you behind the wheel of a fabulous vehicle!